2015 will see the opening of the latest jigsaw piece of the Shinakansen lines that connect the cities of Japan in a fast and efficient rail network. The new route will extend the Nagano line with Kanazawa allowing tourists from Tokyo to reach the renown gardens of Kenrokuen in the comfort of a near silent carriage with coffee served every now-and-then by polite staff wheeling their carts up and down the aisles. 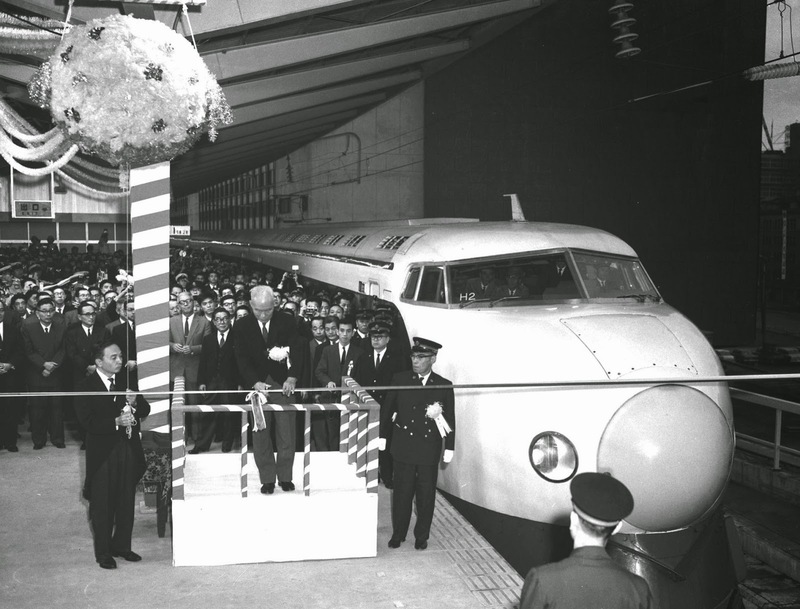 The Shinkansen, first pulled out of Tokyo Station in October 1964 in time for the Tokyo Olympics. With it's air-sealed compartments and earthquake detection system that can bring it to a complete stop in ninety seconds if an earthquake is detected, it remains one of the worlds safest and most reliable rail system with zero passenger fatalities to date. The jaw dropping fact though is that, when the first trains rolled out, the entire project had only been approved by the government five years earlier in 1959. With dedicated tracks to be built and mountains to be bored through, the construction crews pulled off a spectacular feat of engineering. Within twenty years of the end of World War II, Japan had designed, developed, financed and created an entire new rail network, the likes of which had not been seen before. In comparison the UK will take seventeen years to build a high-speed network half the length of that first line, across open land with few hills let alone mountains and hasn't recently been flattened by war.